Christine Bailor, is the owner of The Body Essential Holistic Wellness Center, located in Williamsville, New York. She has been a full-time massage therapist since 2000, when she placed her full-time nursing career aside to pursue another area of healthcare. She is a Registered Professional Nurse and a Licensed Massage Therapist, in NYS and PA, as well as being Board Certified. She graduated from Sisters' Hospital School of Nursing in 1985 and the New York Institute of Massage in 1999. Christine continued her education at St. Joseph's College in Windham, Maine in Health Care Administration and the CORE Institute in Tallahassee, Florida. 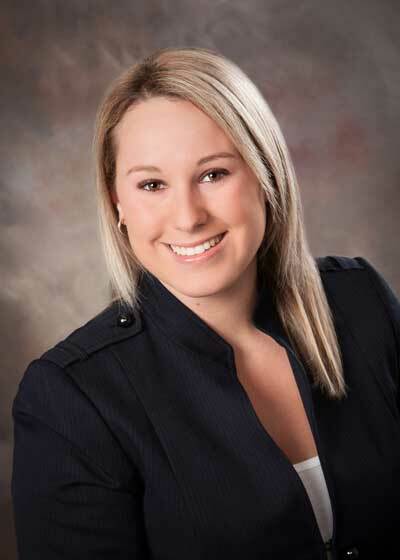 Christine has been trained in a wide spectrum of massage practices and has chosen to specialize in Medical, Sports, Rehabilitation and Oncology Massage, pursuing certifications in these areas. 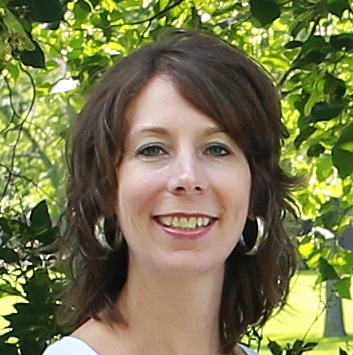 As one of only two CORE Certified Structural Integrative Therapists in the Western New York area, Christine provides clients with an individual treatment regime, combining her specialized skills to obtain maximum benefit from the work. Christine is a past member of the faculty at the New York Institute of Massage and has also served as a Teaching Assistant in several settings. She is a Continuing Educator and the owner of BE Continuing Education, which offers a variety of CE programs for massage therapists. She is an active member of American Massage Therapy Association, Society for Oncology Massage and American Holistic Nurses Association. Christine is currently a member of the National Board of Directors for the American Massage Therapy Association, previously a BOD member of AMTA NY and past BOD member of the National Association of Nurse Massage Therapists. Personal responsibility is highly valued by Christine and this is evident in her work, as she encourages her clients to explore what their bodies are saying to them and to discover the why behind it. We are responsible for our dis-ease as well as our healing. Her clientele covers a wide demographic, and everyone is welcomed equally across the spectrum. 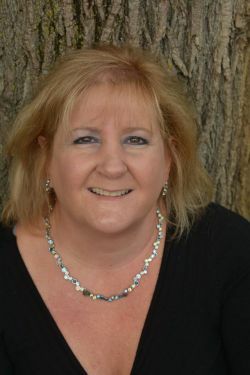 Christine has gathered a highly qualified group of practitioners to provide services out of The Body Essential, where they strive to remain at the forefront of the holistic healthcare world to always bring their clients the best in health and wellness services in the Western New York region. Reverend Chelsea Gill is a Fourth Generation Intuitive who was aware of her abilities at the age of seven. Throughout the years, her mother wrote down things she said, saw and heard to keep a log on what abilities she inherited. She studied at Bryant Stratton College and received her Associates Degree in Criminal Justice in 2012. She had ambition to help the community on cases with her abilities as a “Psychic Medium” and in 2015 she started working with the Criminal Justice System on cold case and missing people files. During that time she volunteered her time for a non-profit that assisted those who were ill, with an integrated medicine approach. As time went on Chelsea followed her calling and expanded her knowledge in Holistic Healthcare with Essential Oils. Already being a Reiki Master, she knew she could assist those who are suffering; mentally, physically, and emotionally with a therapeutic approach. 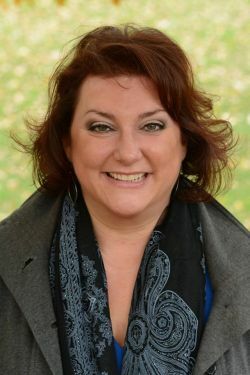 In 2016 she joined Greater WNY Paranormal Society as a Team Investigator and Psychic Medium to assist families that are struggling from with activity and to provide closure. Graduating at the top of her class, Lisa is a 2010 graduate of the Salon Professional Academy in Esthetics. She specializes in facials, body treatments, waxing, and works with all natural organic scrubs and products. She is also a graduate of Edutech School of Massage in Clearwater, Florida. Drawing upon her combined skills, Lisa provides each client with a treatment customized to their individual needs. Through years of experience in customer relations, Lisa has cultivated her own natural ability to connect with others. Whether you are looking to educate yourself on how to achieve and maintain healthy skin or just desire to relax and rejuvenate, your time with her is your chance to escape the stress of everyday life. Lisa believes that good skin comes from within. Everyone needs to find a healthy balance that works from the inside to the outside. This doesn't have to be overwhelming or intimidating. It is actually a very relaxing and enjoyable experience. It is a moment of escaping reality and letting go, but also getting your skin treated and learning about how to continue this process at home. Her goal is to let everyone know looking good and feeling great is very attainable and affordable. Everyone needs their system recharged. By coming to see her every few weeks and doing the steps at home, everyone can be beautiful. Come pamper yourself and your skin for a fresh and beautiful new you! Melanie R Olivieri, RN, LMT, Reiki Master A native of WNY Melanie lived in England, travelled around Europe and came back to roost in WNY. She still loves to travel and has been exploring the US between her studies. As a Registered Nurse she found a love of holistic healing and is a 2013 graduate of the New York Institute of Massage. She is a Reiki Master, Hatha Yoga instructor and is certified in Thai Massage. She believes in combining modalities to meet her clients’ needs. Currently specializing in Therapeutic/Medical, Oncology & Thai massage as well as Reiki. Melanie incorporates deep tissue, stretching, aromatherapy and energy work as her clients need or want it. 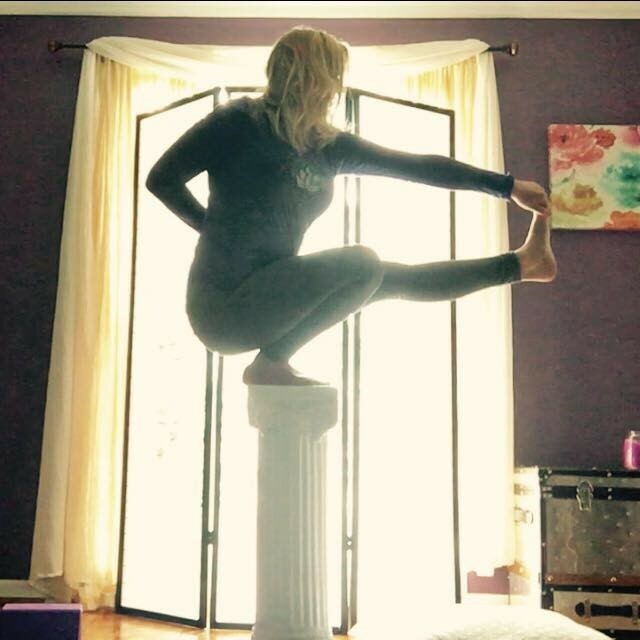 She enjoys teaching, offering classes in yoga and pilates, chakras & art for the non-artist. She also loves to learn and is continuing her studies in Prenatal massage, Lymphatic Drainage, CranioSacral therapy and other modalities. Equally important to her is the ability of all massage therapists to have access to continuing education and for the public and health care community to be educated about the benefits of massage therapy. To that end she is the Unit Chair for the American Massage Therapy Association in WNY. Believing that disease is caused by the “dis-ease” between body, mind and spirit her goal is to help people to relax, release and refresh so that they can find and hold onto the Joy in their lives. Melanie can be reached by contacting Body Essential Holistic Wellness Center. 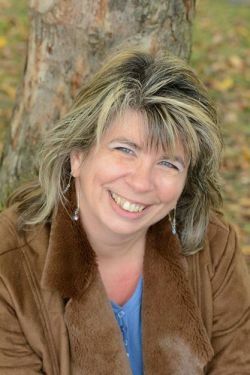 Leslie is a Reiki Master Teacher who has a passion for helping others heal and empowering them to be their best selves. She was certified as a Reiki Master Teacher five years ago after healing from Lyme disease. Leslie believes that being healthy doesn't just mean eating right and exercising, but also being joy-filled and happy. She believes that all types of stress-physical, mental, emotional, and/or spiritual-are a main contributor to illness. With Reiki, she can help an individual destress on all four levels for preventative or restorative health. With Leslie, you can either receive a relaxing Reiki treatment to rejuvenate or take one of her Reiki courses to learn to practice on yourself or others. Leslie is also a teacher of Mindfulness. It helps you to be more present in the moment and aware of what is going on within and around you. Learning Mindfulness is another way to help you better manage your stress, and therefore, maintain your health. Jean Stinson has been practicing yoga for over fifteen years and studying mindfulness and eastern philosophy since 1995. She completed her 200-hour yoga teacher training at the Himalayan Institute in Buffalo, NY and continues to deepen her knowledge of traditional yoga, including pranayama and meditation, through daily practice and study. She is also currently in training to complete her 500-hour certification at the Himalayan Institute. Karuna Yoga Buffalo is a nurturing environment where you can practice all eight limbs of traditional yoga, including posture, relaxation, meditation and philosophy. With regular practice you will become stronger, more flexible, and more balanced not only in the body but in the mind and spirit as well. However, the practice here is less about "becoming" something than it is about "unbecoming" everything that isn't you. There is a strong focus on detaching from the ego, quieting the mind, and calming the nervous system. Students will learn to let go of fear, pain, sorrow, anger, doubt, guilt, attachment, negative self -image and anything else that doesn't serve them. It is our philosophy that human beings are here on this earth to ENJOY and to learn from life. It is our mission to help each and every one of our yogis cultivate the joy that is within, gain insight into what causes individual suffering, and bring relief to that suffering. Although there is no substitute for an encouraging guide, you are your own best teacher. 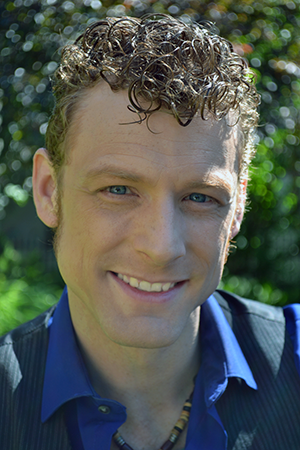 Phil grew up in the suburbs of Chicago, IL, and was trained at the Chicago School of Massage Therapy in 2007. His massage practice grew hand-in-hand with a career in professional dance, working with several modern, jazz, and contemporary dance companies in the city. CSMT’s philosophy of “Movement is Health” inspired Phil to integrate lessons from dancing into all his modalities, including Sports preparation/recovery, Clinical Deep Tissue, Trigger Point Therapy, Myofascial Release, Body Mobilization, Swedish Relaxation, and Shiatsu. Through first-hand experience with high level physical training, recovery from various injuries and the stresses of performance, Phil knows the importance of keeping your body functioning at its best. He works with a combination of compassion and strength to eliminate pain, weakness, and stress that accumulate from daily life, allowing a more full expression the most perfect tool, your body. In 2010, Phil moved to Buffalo to dance for LehrerDance, an internationally recognized dance company, and spent several years touring across the country and Europe, going as far as Vladivostok, Russia as part of an international cultural exchange effort. The style of LehrerDance is described as “Organic Athleticism” and encourages working with the body’s natural capabilities to expansive, dynamic movement. It uses momentum and circularity, not force, to minimize effort and strain. All of Phil’s practice incorporates this same dedication to efficiency and ease. Seeking to expand his massage practice to include New York State, Phil studied at Trocaire College and once again merged his love of athleticism and healing. He believes in the body’s intuition to tell us what it needs to heal itself, and with proper training and care it will support us to achieve whatever level of fitness we desire. Therapeutic results don’t have to conflict with an enjoyable experience, and Phil’s massage aims to accomplish both simultaneously. Each massage is a partnership, granting tailor-made sessions to achieve whatever goals are set out. Whether that be eliminating a specific pain, replacing stress with comfort, or preparing for an athletic event, Phil applies the same thoroughness and attention to detail. When your body thrives, so do you.